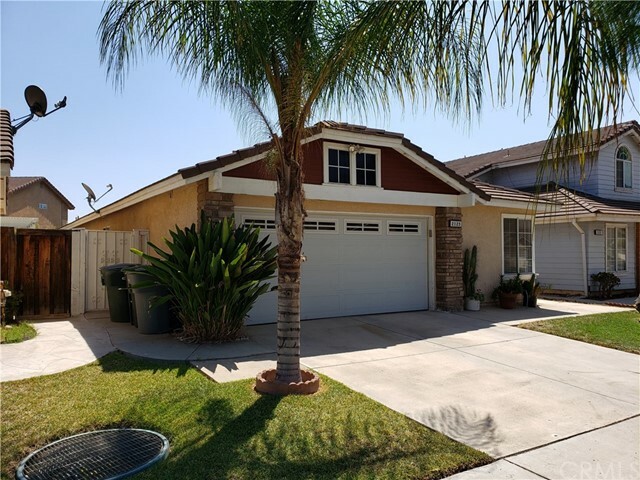 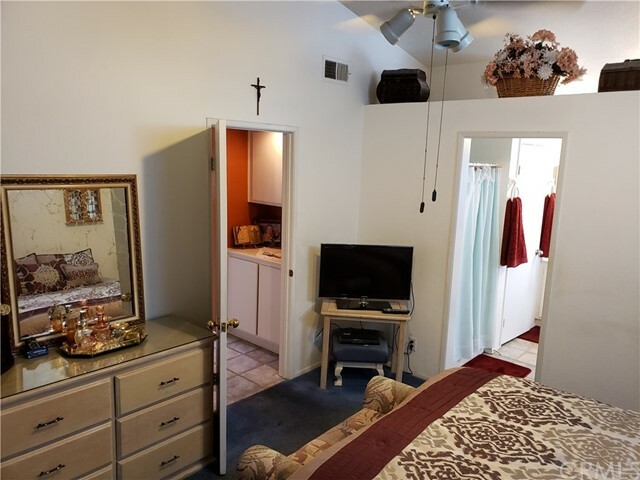 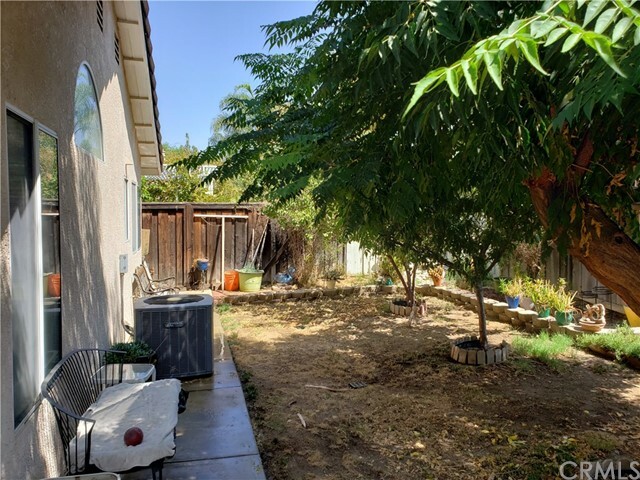 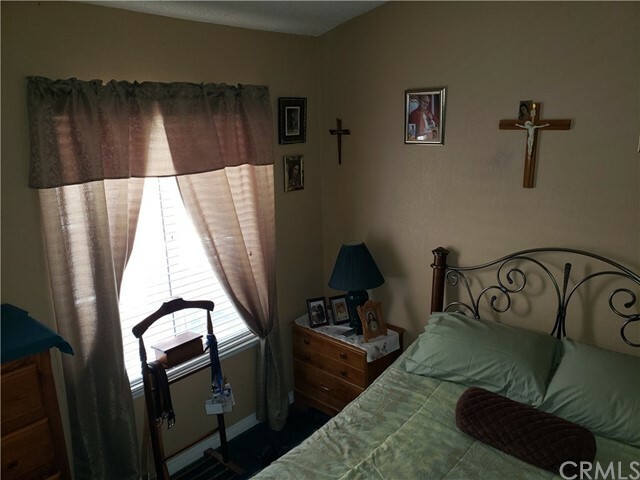 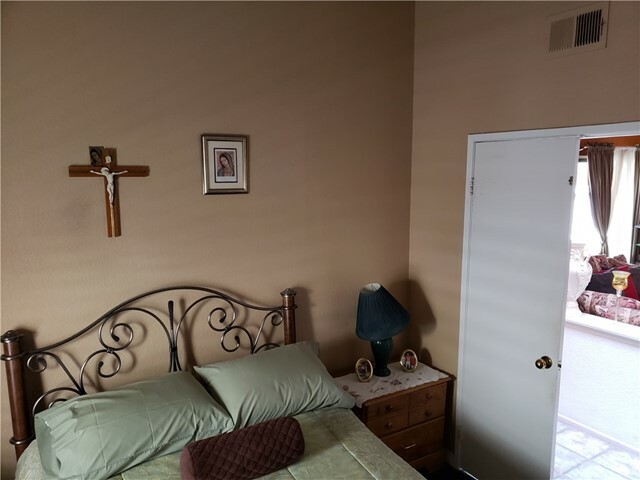 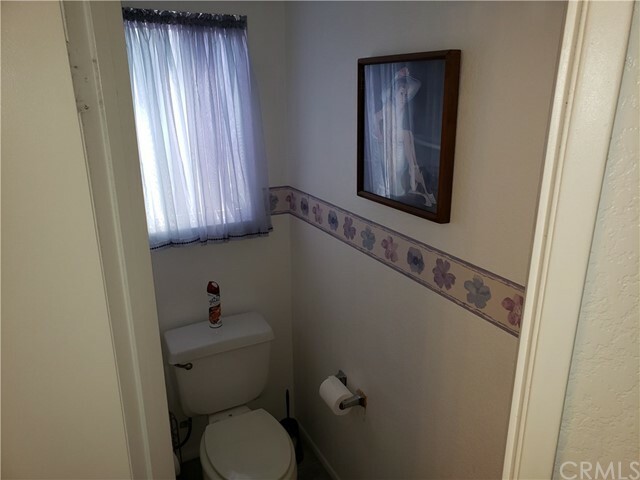 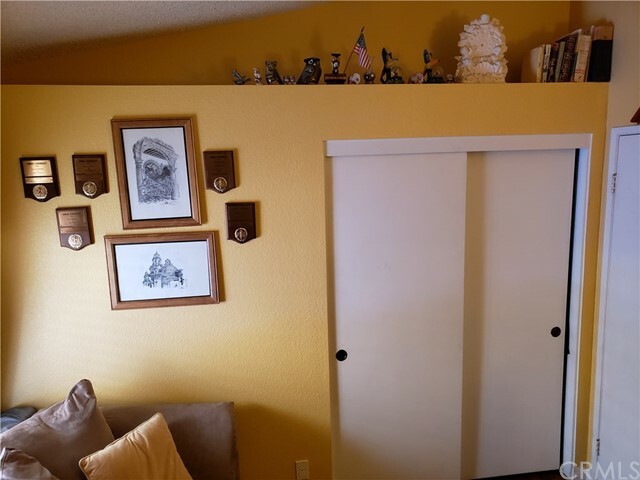 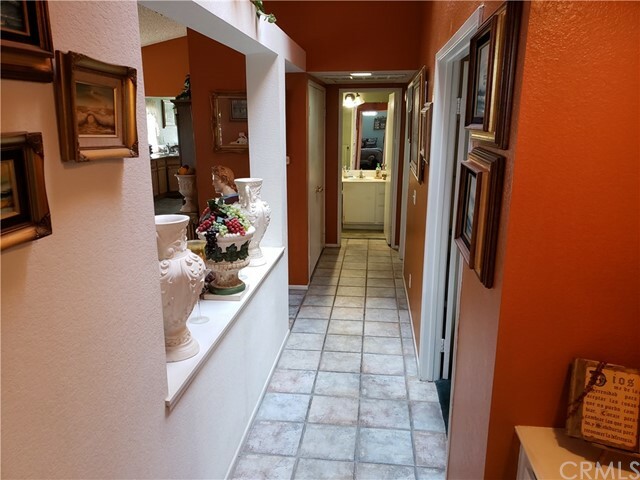 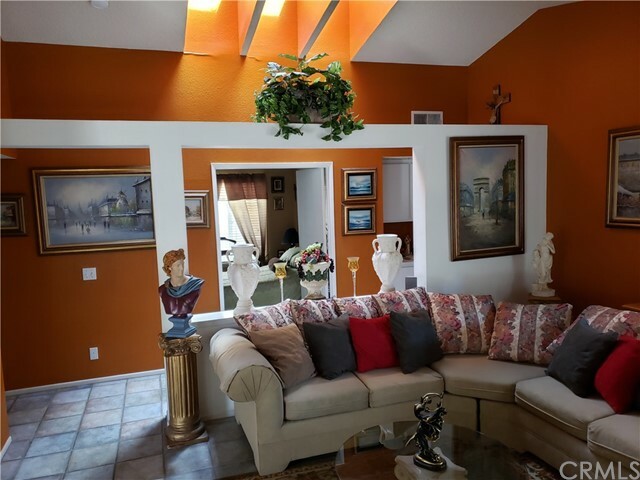 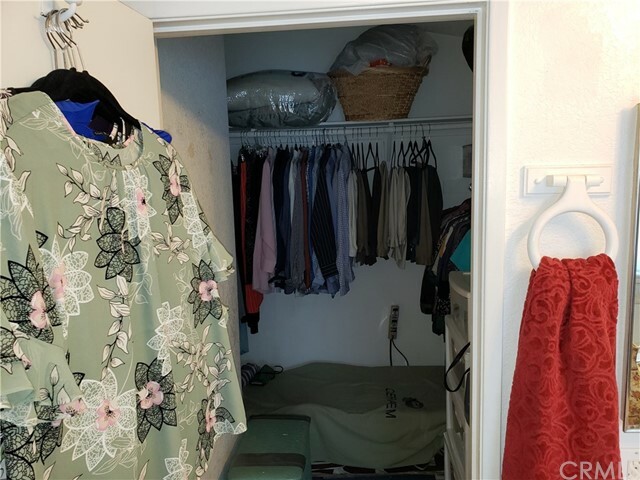 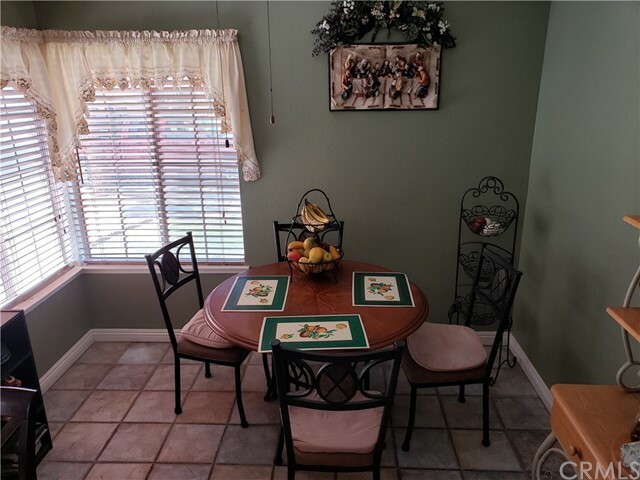 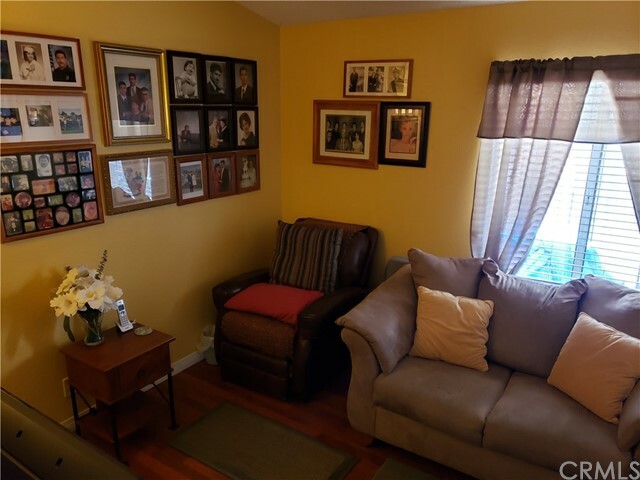 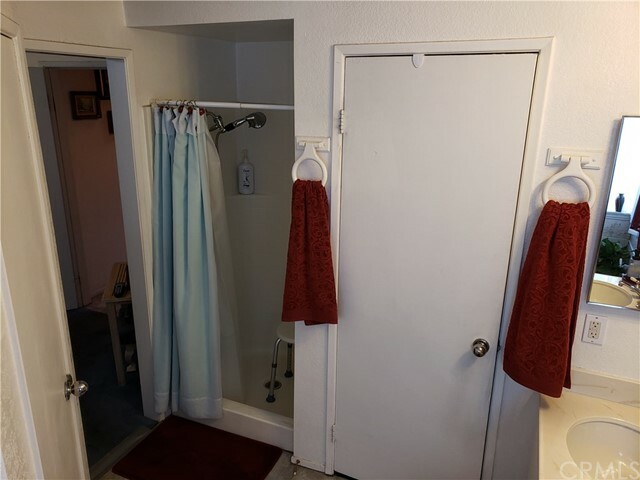 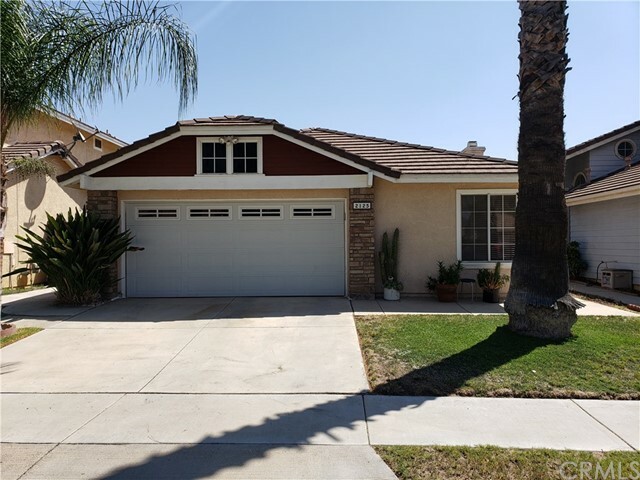 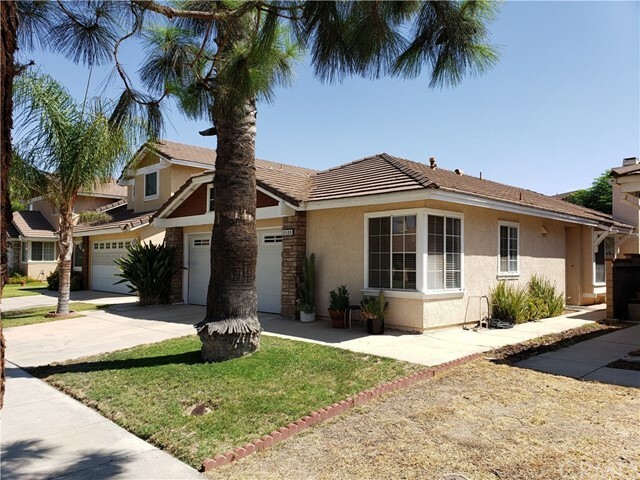 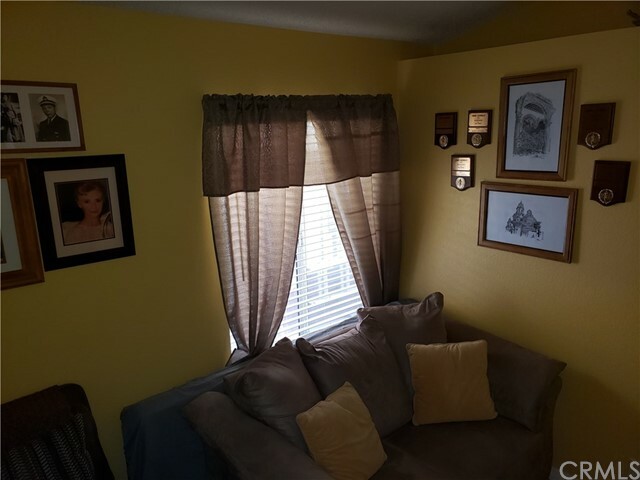 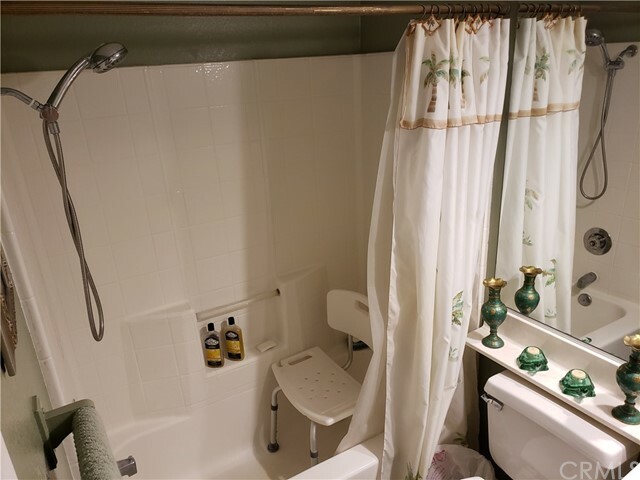 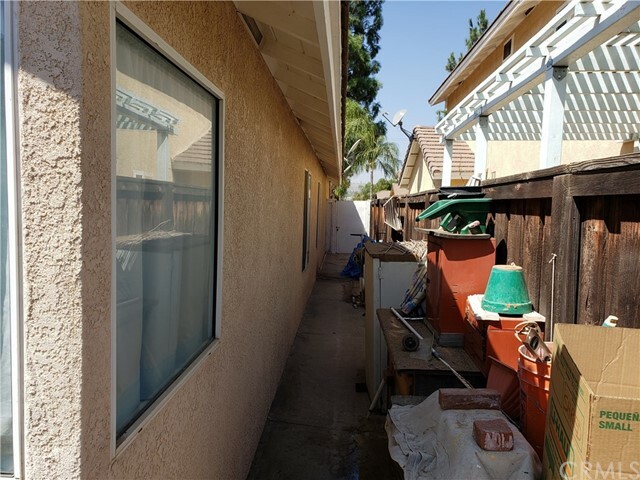 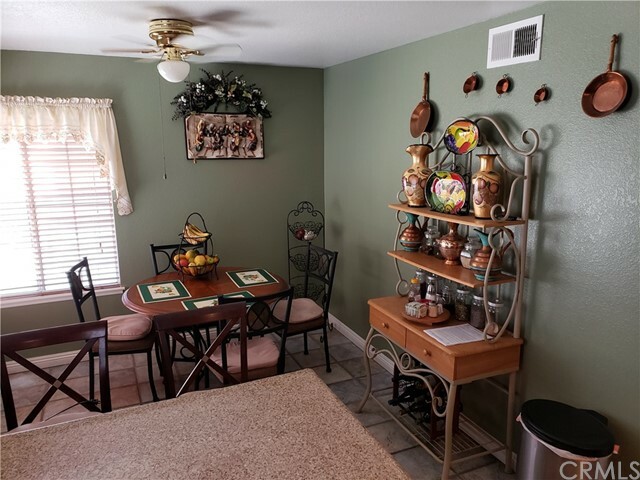 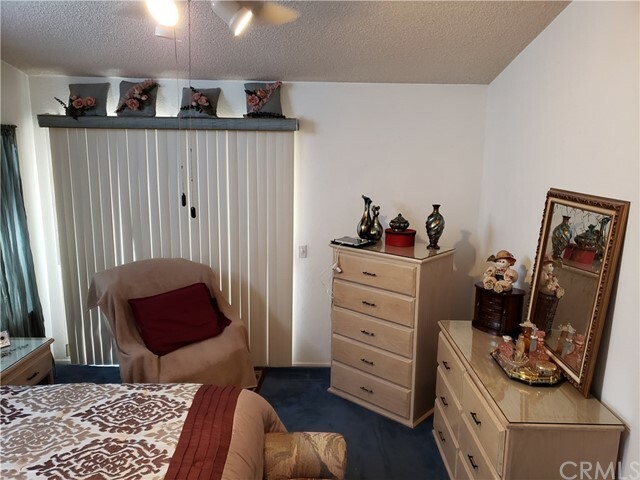 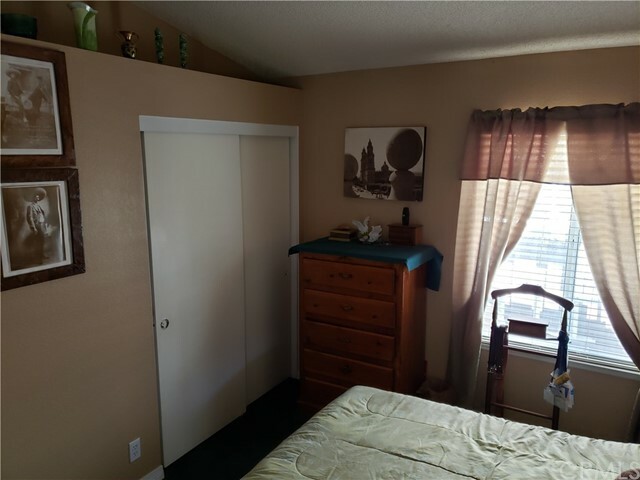 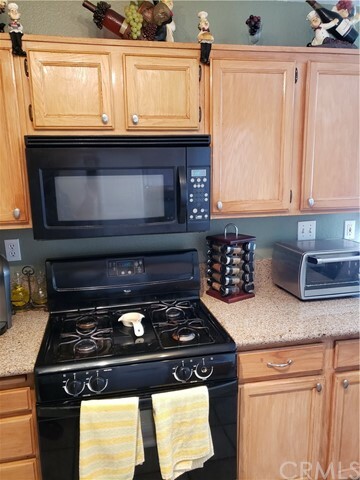 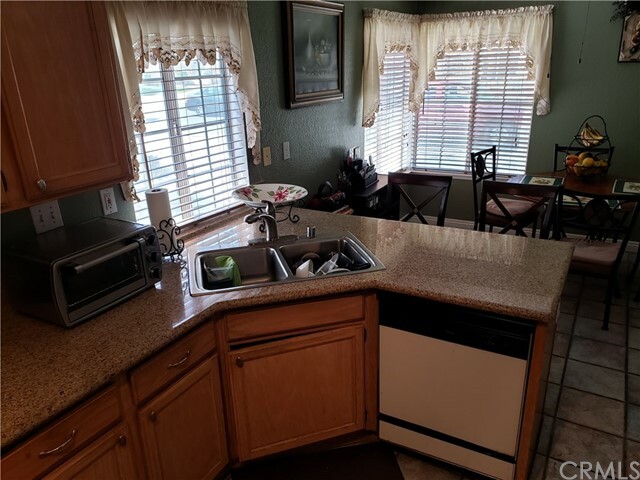 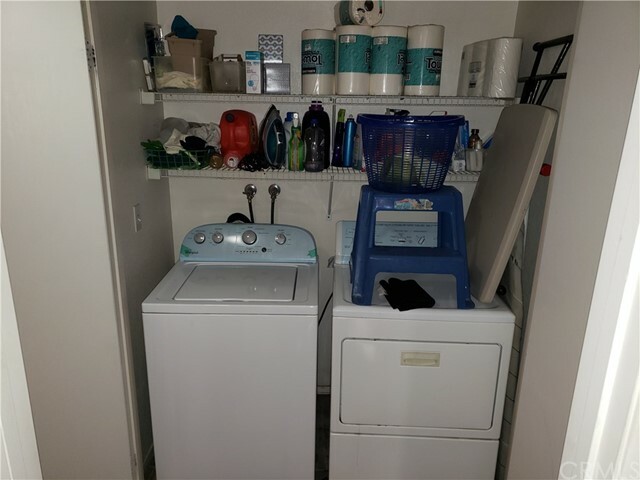 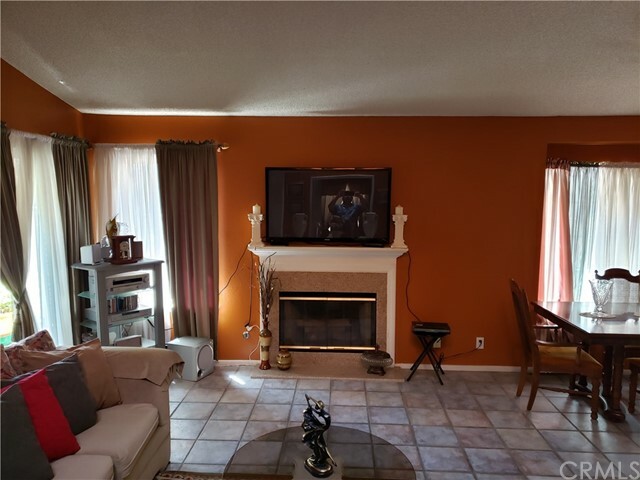 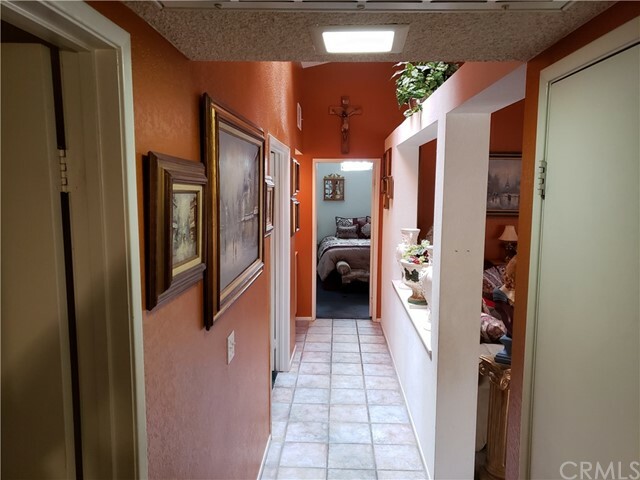 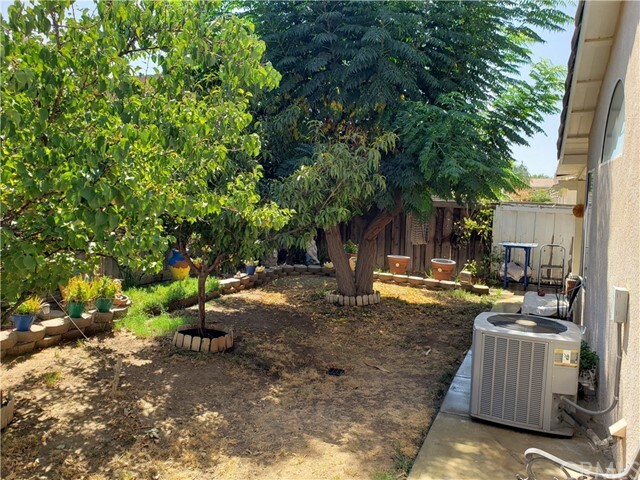 EXCELLENT LOCATION IN PERRIS! 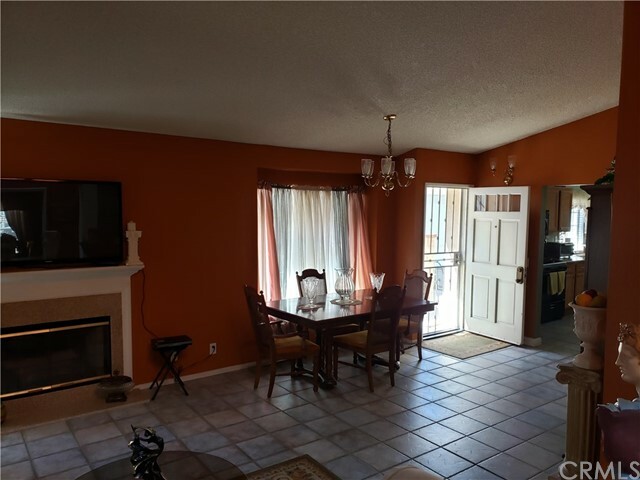 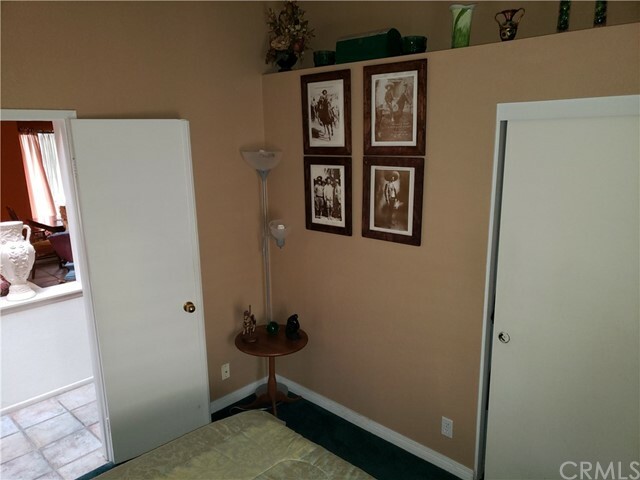 CLOSE TO SHOPPING AREAS AND THE 215 FWY. 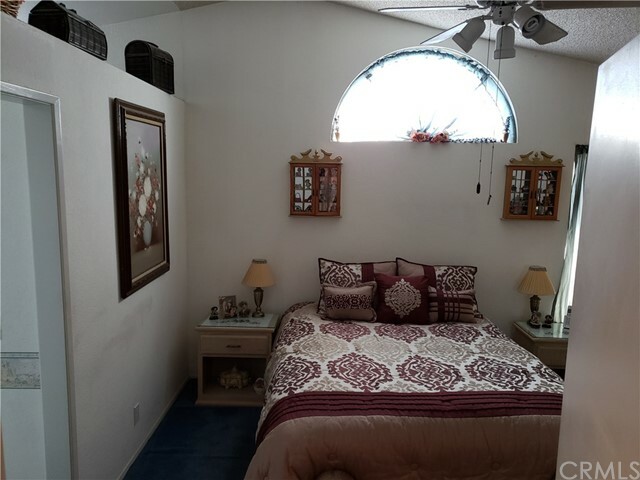 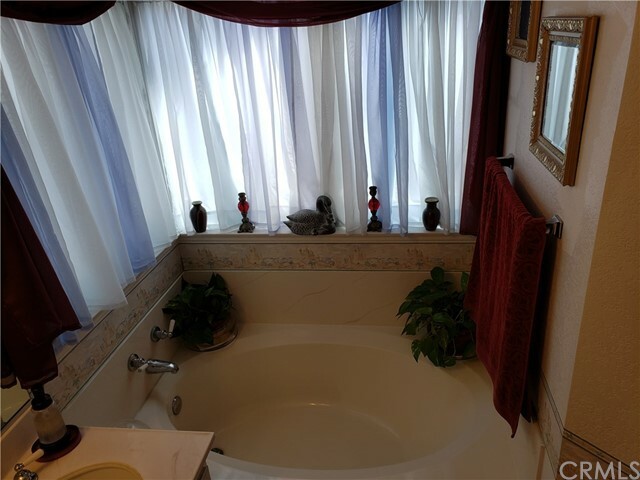 Home Features a Master Bedroom with a Walk In Closet, Separate Shower & Tub and private bathroom. 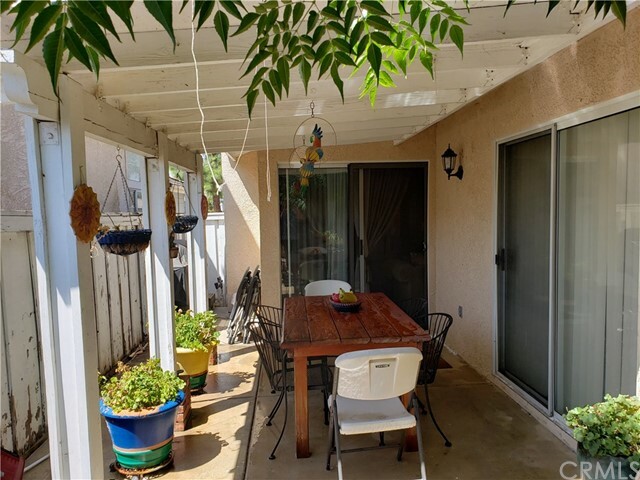 Master also has direct access to the Backyard Patio. 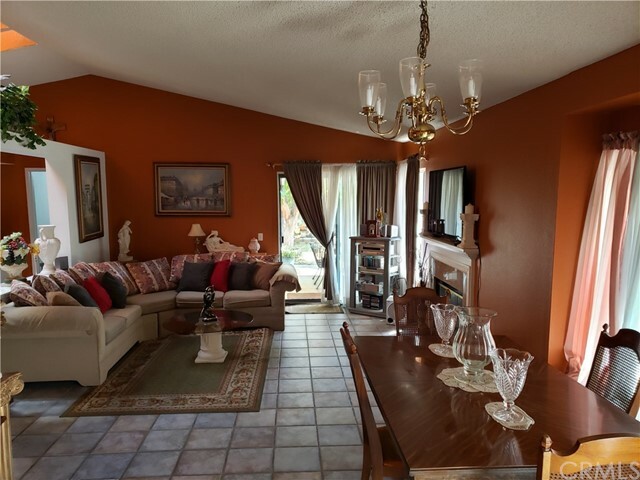 Open Floor Plan includes the Dinning Area and Living room with Fireplace and access to the backyard patio. 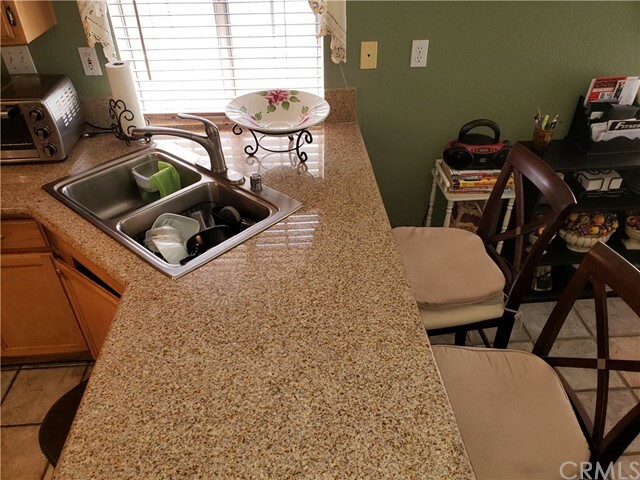 Kitchen includes a Separate Breakfast Area and Eating Area on the Granite Counter Top. 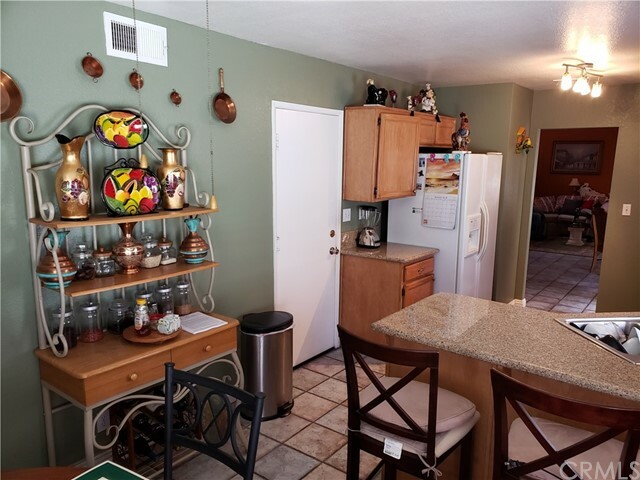 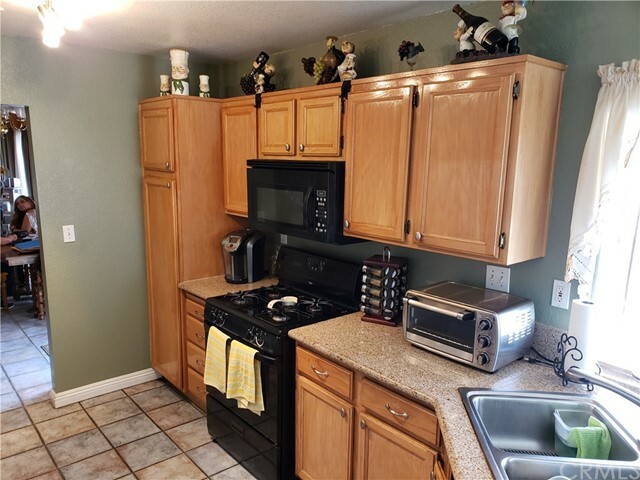 Also included are a Free Standing Range with Oven, Microwave, Dishwasher, Garbage Disposal and Refrigerator. 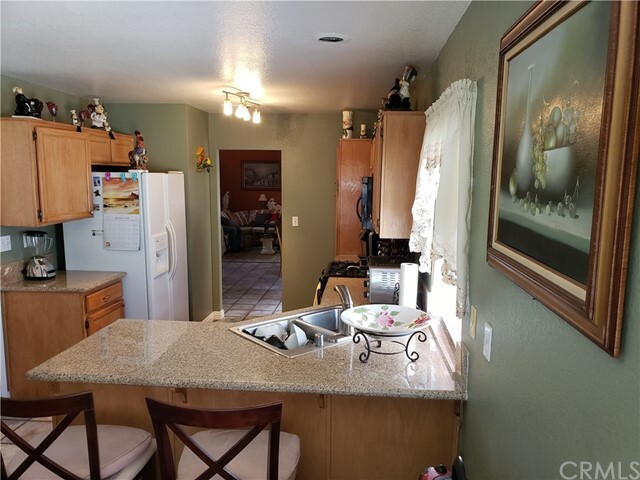 Home has a Two Car Garage with Street Front Access. 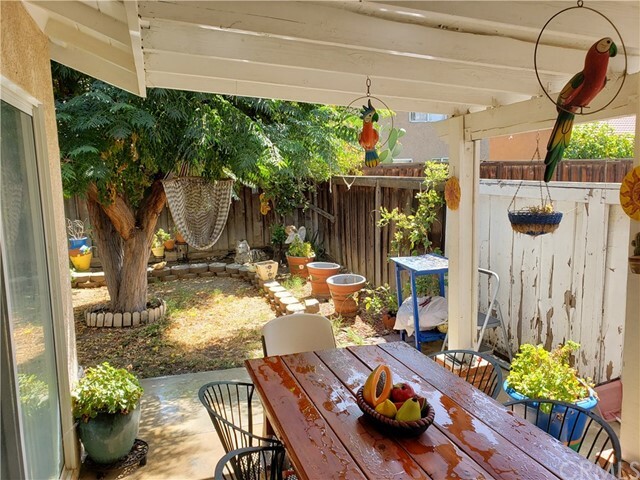 Fully Fenced in Backyard with a Covered patio and trees for shade. 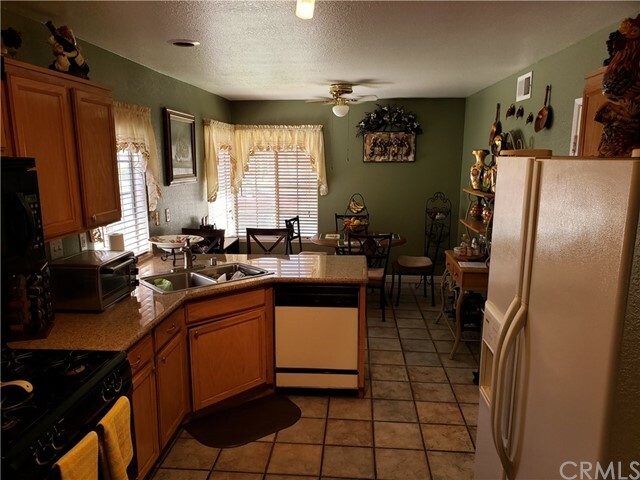 THIS IS A MUST SEE HOME AND PRICED TO SELL QUICKLY!